What’s included in the cost of the course? 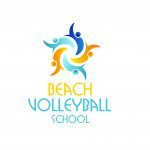 All tuition, the use of beach volleyballs and lots of fun! Our sessions last two hours, and run twice daily: once in the morning and once in the afternoon, with extra sessions added at busy times. What day of the week do your sessions run? We have two lessons a day: 09:30-11:30, and 14:00-16:00. Are there other options for the coaching? If you require different times or groups, please contact us and we will customise your requirements. Do you cater for more experienced players? We have Level 1, Level 2 and VE Staff Tutors available which means we can coach players right through to elite standard. If you feel your beach volleyball could benefit from a programme covering topics such as conditioning/fitness training, competition strategy, mental preparation, and nutrition, contact us and have a chat with our senior coaches. We can tailor training to suit your particular requirements. One lesson is £10, six lessons are £50 and 13 lessons are £100. For larger groups please give us a call. We offer even larger discounts for school and community groups.